Notebooks are getting thinner and thinner, and Acer’s Swift 7 currently has the bragging rights of being the slimmest Windows 10 powered laptop of all time. Though there are still a few caveats that you guys should know, if you want extreme portability and are willing to pay the money for a Windows 10 notebook, then the Swift 7 should be on your bucket list. Acer Swift 7 measures at an astonishing 9.9mm, making it the thinnest notebook in existence. Naturally, there are a few tradeoffs that you have to make when making a notebook this thin, and one of them happens to be the battery life. Acer has stated that despite its thickness, the notebook will be able to give up to 9 hours of battery, but hasn’t provided details as to which sort of tasks would you have to be carrying out in order to achieve that 9-hour battery life. 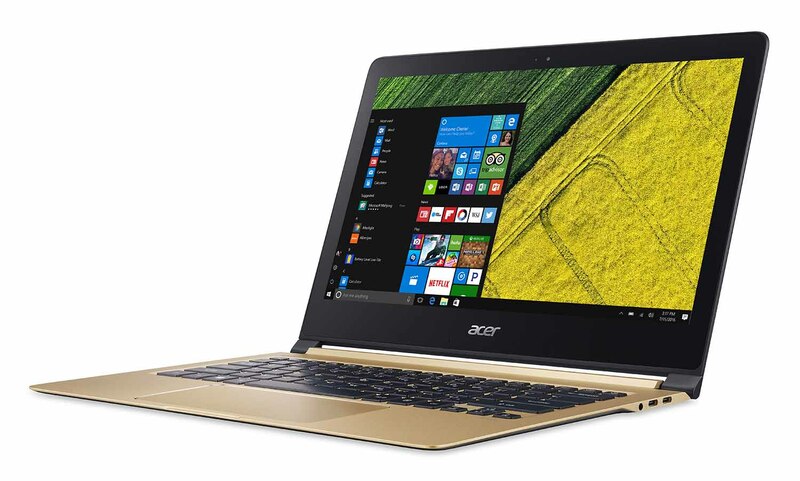 For its 13.3-inch display, Acer kept the resolution limited to 1080p, which is a good option. For a notebook this thin, battery life would have suffered had the resolution been bumped to levels that other manufacturers adopt, so in my opinion, this was a great choice. Others might not like the fact that Acer Swift 7 comes shipped without a crisp display, but if battery life is more important to you than ‘eye candy’, then you’ll appreciate the approach that Acer has taken. 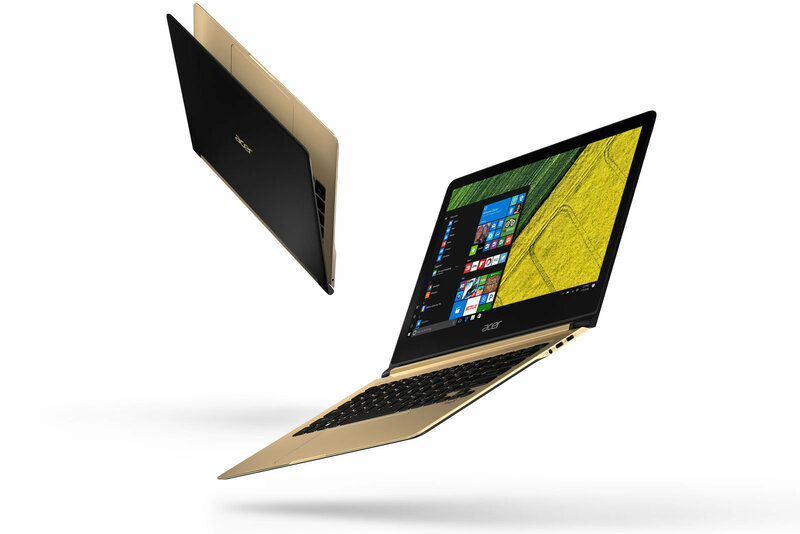 It also comes outfitted with Intel’s Kaby Lake processor, but due to its extremely thin form factor, the notebook packs a Core i5-7Y54 processor. The naming sequence of Intel’s 7th generation series of processors has become extremely confusing, so here’s a little hint for you. Just think of this processor as being the successor to Intel’s 6th generation Core M series present inside the likes of the 12-inch MacBook. The processor is running at a base clock speed of 1.20GHz and that clock speed can be increased to 3.20GHz in given situations. 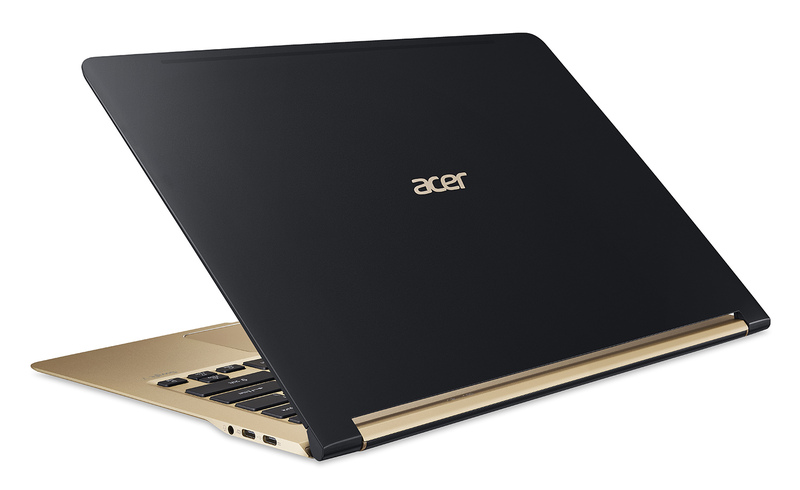 In addition, Acer Swift 7 sports 8GB of LPDDR3 RAM coupled with 256GB of flash memory. Furthermore, there are two Type-C USB ports, an 802.11ac Wi-Fi adapter, but no SD card slot. If you’re concerned about which OS it is running, the notebook comes running Windows 10 Home right off the bat. As for the price, Acer Swift 7 is retailing for $1,099 and is officially available to purchase. If you’re interested, head down to Acer’s official website right away and place your order immediately.